Dr. Anantha K. Duraiappah, director, UNESCO Mahatma Gandhi Institute of Education for Peace and Sustainable Development recently launched “Rethinking Schooling for 21st Century”- The State of Education for Peace, Sustainable Development and Global Citizenship in Asia (A Policy Brief by UNESCO MGIEP) in New Delhi. The launch was followed by a panel discussion with the eminent academicians, Professor Krishna Kumar, former director, National Council of Educational Research and Training; Prof. Geshe Ngawang Samten, vice chancellor of Central University of Tibetan Studies, Sarnath, Varanasi; Prof. Muchkund Dubey, president of the Council for Social Development, New Delhi. The event was attended by over 300 educationists, policy makers and students from the NCR. The report analysed curriculum and education policy textbooks from 22 countries of Asia and the Pacific region. Prof. Kumar, lead author of the report observed that despite cultural diversity the discourse that emerged in all these countries was very similar. An exhaustive coding scheme was developed for this exercise and it revealed that most countries emphasise on “nation as a privileged identity” as opposed to the commonly held belief of equality and global citizenship. 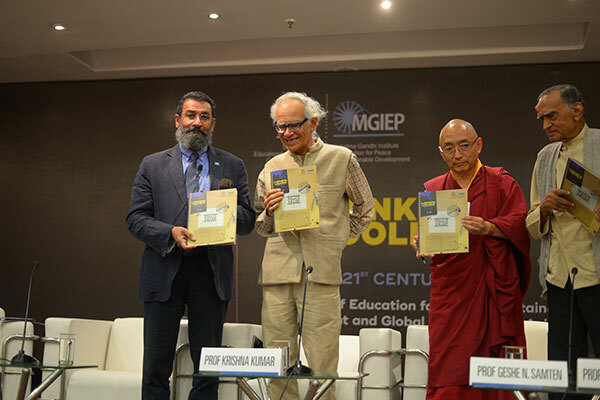 UNESCO MGIEP’s Rethinking Schooling for the 21st Century: The State of Education for Peace, Sustainable Development and Global Citizenship in Asia was officially launched in November 2017 at the 39th session of the UNESCO General Conference. Building on the content analysis of 172 official documents in 18 languages based on a common coding scheme and extensive literature review on Asian schooling, this report seeks to assess how far the aims and values encapsulated in SDG 4.7 have been incorporated into the educational policies and officially-mandated curricula of 22 Asian countries. By analysing current policies, curricular frameworks, subject syllabi and textbooks, it aims to create a baseline against which further progress towards SDG 4.7 can be monitored. At the same time, it sets out to change the way we talk about and act upon SDG 4.7, and argues that a broader vision of education’s nature and social role is essential to our chances of achieving a peaceful and sustainable future for Asia and the world. 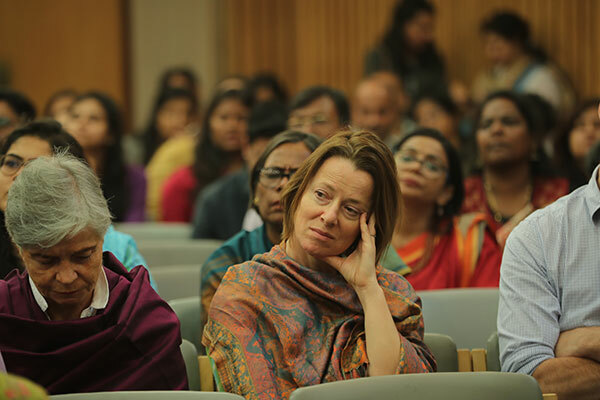 The Mahatma Gandhi Institute of Education for Peace and Sustainable Development, New Delhi is the first and only category 1 Research Institute in Asia Pacific and focuses on achieving the Sustainable Development Goal (SDG) 4.7 towards education to foster peaceful and sustainable societies.